Barack Obama lived in New York in the early 1980s while attending Columbia University on the Upper West Side of Manhattan. David Maraniss' book Barack Obama: The Story describes this period. An except of this book was adapted into the article "Becoming Obama" in the June 2012 Vanity Fair magazine. It reveals some of the locations frequented by Obama, including where he lived. He transferred from Occidental College in Los Angeles at his junior year, in 1981. He finished his undergraduate degree in political science at Columbia and then worked for two years in Manhattan before moving to Chicago for three years and then attending Harvard Law School. 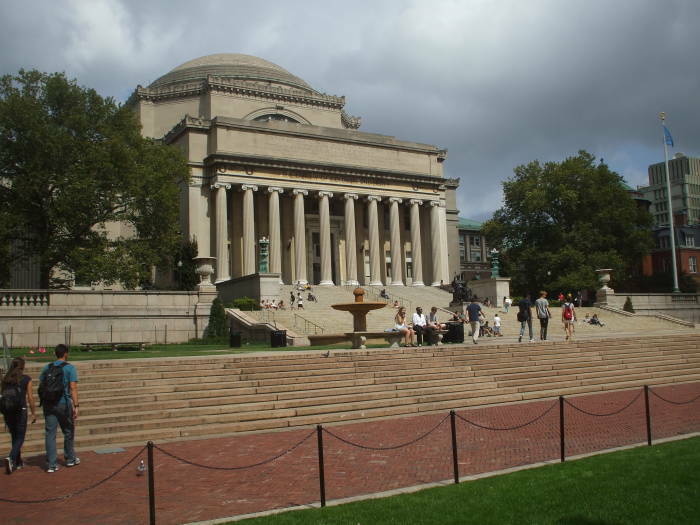 Low Memorial Library, administrative center of Columbia University. Heat and hot water were scarce commodities. When the nights turned colder, the roommates took to sleeping bags for warmth and spent as little waking time in the apartment as possible, holing up in Butler Library, at 114th, parts of which were open all night. 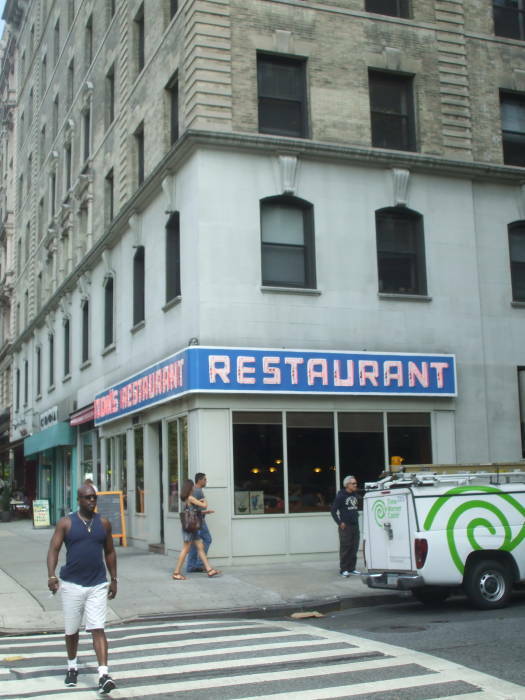 On many mornings Barack and Phil walked over to Broadway and up to 112th for breakfast at Tom's Restaurant, later to portray a diner on Seinfeld. They could get Tom's full breakfast for $1.99. Tom's Restaurant at Broadway and 112th Street. 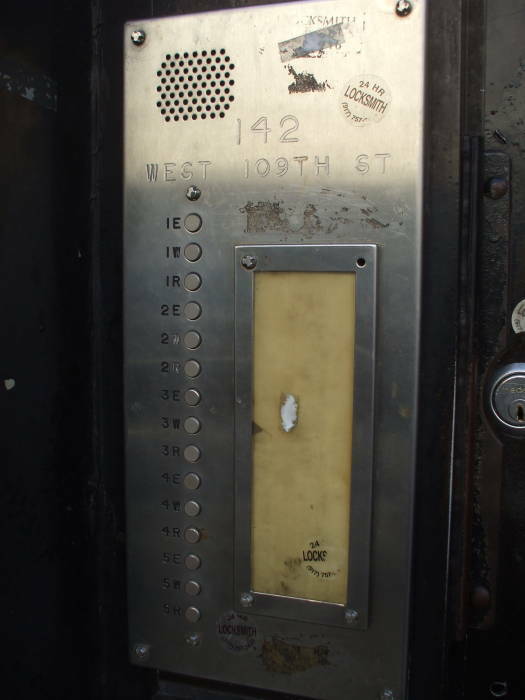 Doorbells at 142 West 109th Street. 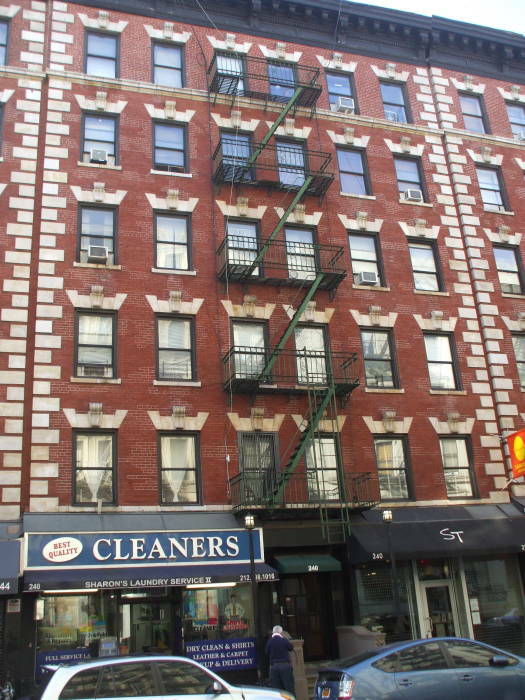 142 West 109th Street is a narrow five-floor building with three apartments on each floor. The block is filled with the low hum of the Con Ed electrical power substation across the narrow street. After the summer of 1982, Obama had moved "across town" as they say, from the Upper West Side to the Upper East Side. 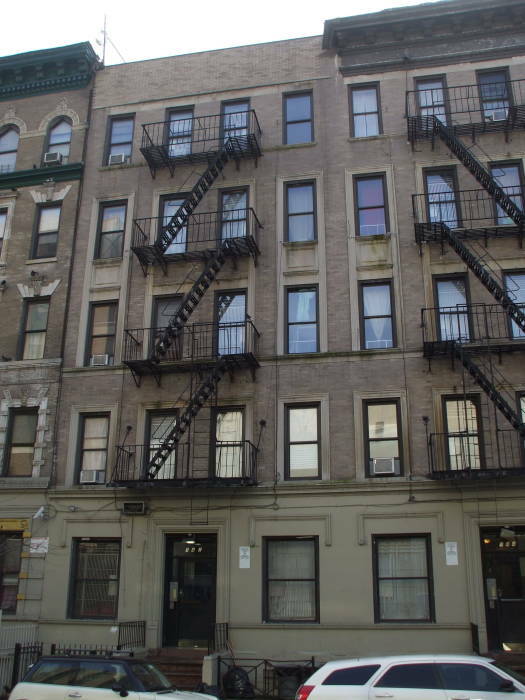 He was living at 339 East 94th Street, close to the east end of 94th Street at 1st Avenue with the East River visible between the highrises. 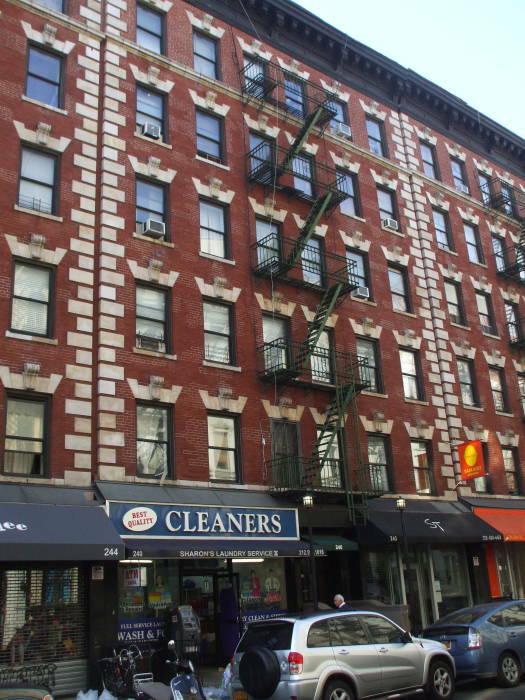 This is near the north end of the Upper East Side, south of the fairly sudden transition in settlement, businesses and general atmosphere as you cross into Spanish Harlem. 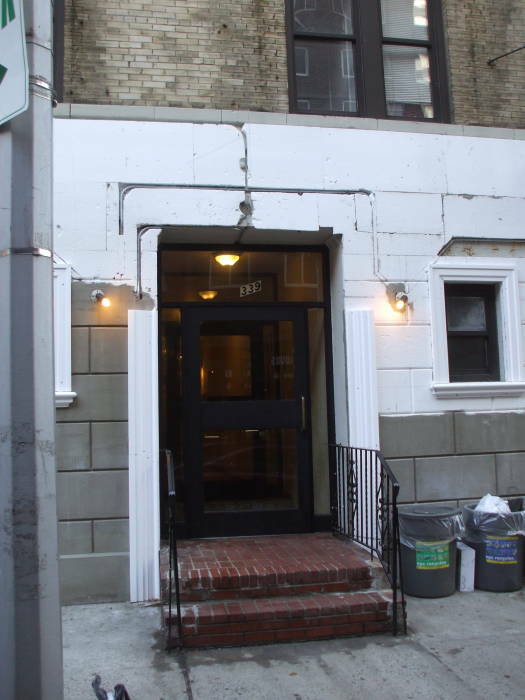 Entrance to 339 East 94th Street. Facade of 339 East 94th Street. 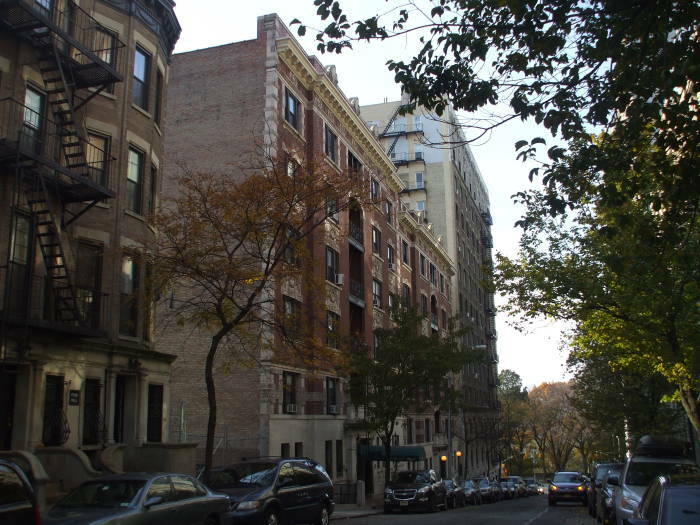 Looking west on East 94th Street. 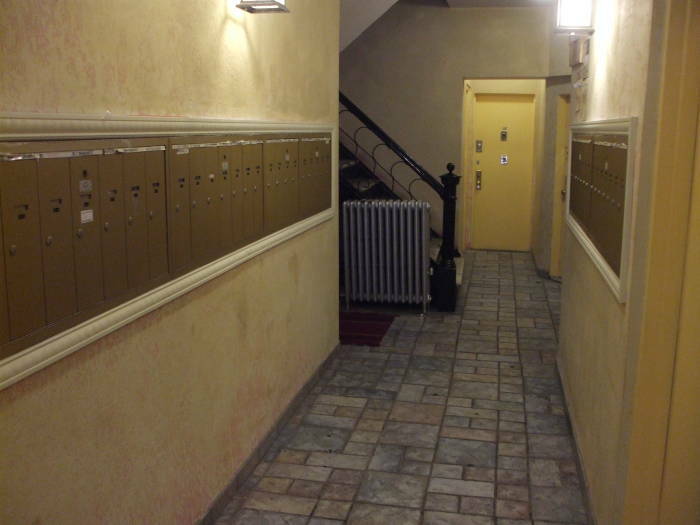 Entry hallway at 339 East 94th Street. 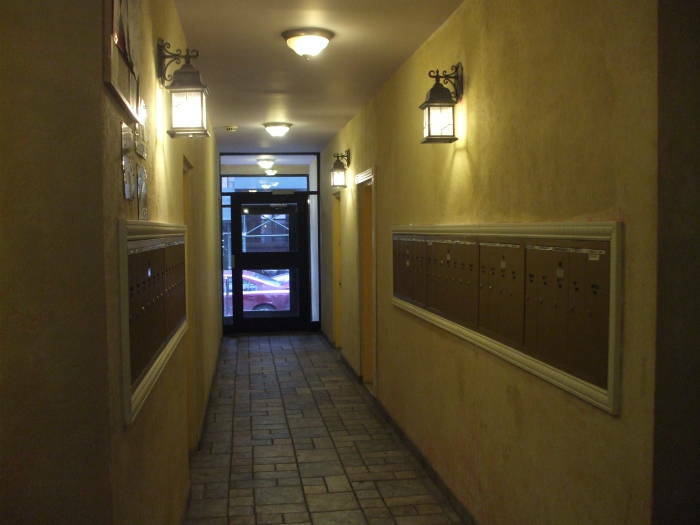 Looking back down the hallway at 339 East 94th Street. 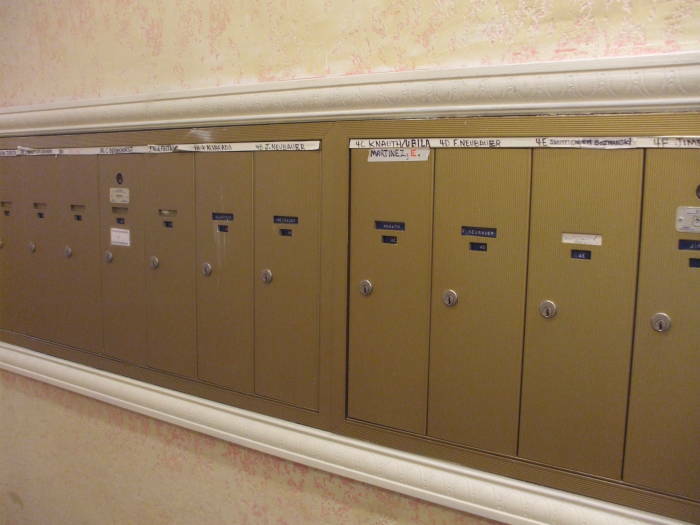 Mailboxes of the current residents at 339 East 94th Street. 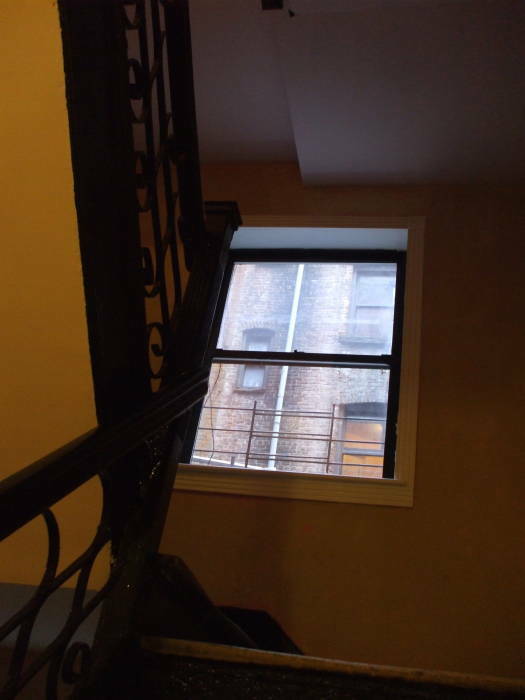 Looking up the stairs at 339 East 94th Street. Obama earned a Bachelor of Arts degree from Columbia in 1983, majoring in political science and specializing in international relations. His thesis was on Soviet nuclear disarmament. He then worked for a year at Business International Corporation, where he was a researcher and writer for their reference service Financing Foreign Operations and wrote for their newsletter Business International Money Report. 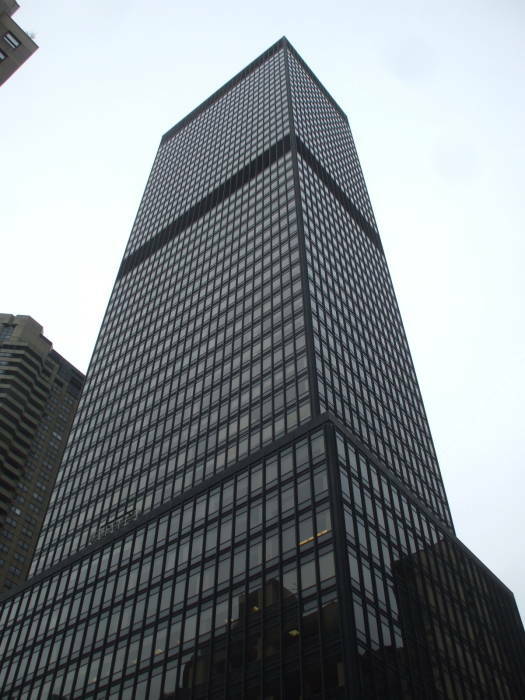 The office tower at 1 Dag Hammerskjold Plaza. 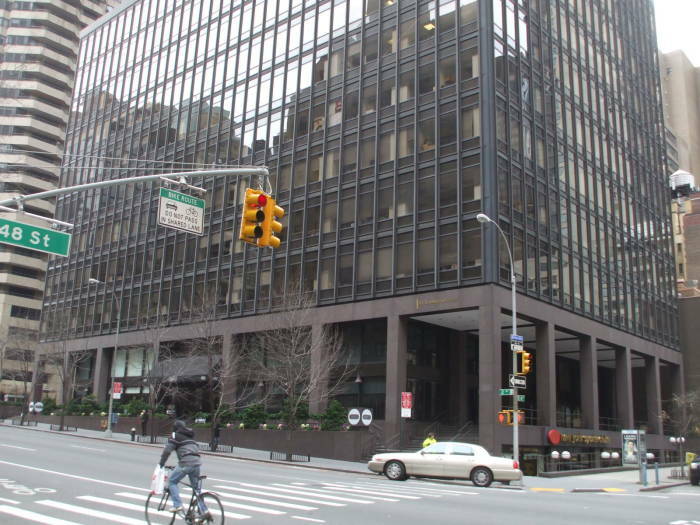 Business International was in the office tower at 1 Dag Hammerskjold Plaza, which is simply the block of Second Avenue between 47th and 48th Streets. December 1983. A Christmas party down in the East Village, at 240 East 13th Street. It was B.Y.O.B. and Genevieve Cook brought a bottle of Bailleys Irish Cream. The host was a young man employed as a typist at Chanticleer Press, a small Manhattan publishing company that specialized in coffee-table books. 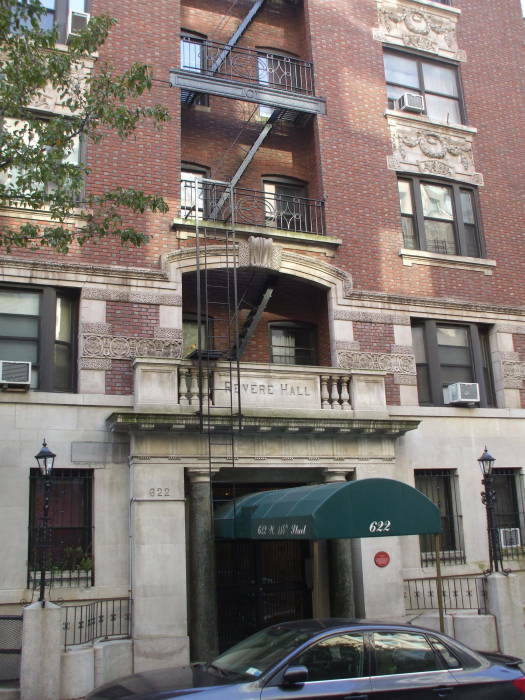 Genevieve had worked there briefly but had left to attend graduate school at Bank Street College, up near Columbia, and was now an assistant teacher for second and third graders at Brooklyn Fiends School. 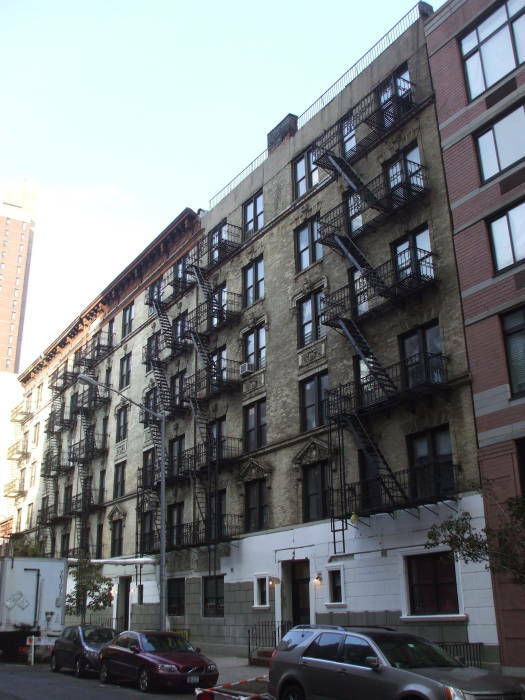 She was living temporarily at her mother and stepfather's place on the Upper East Side. 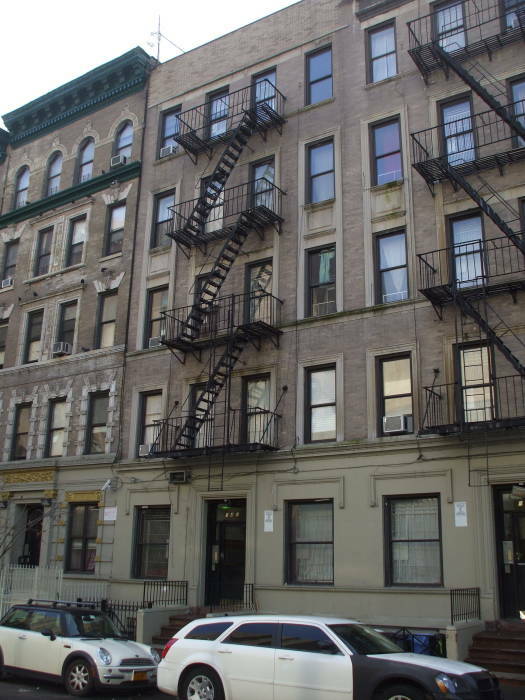 The party in the sixth-floor apartment was well under way when Genevieve arrived: lights dim, Ella Fitzgerald playing on the stereo, chattering people, arty types, recent college grads, some in the publishing world, none of whom she knew except the host. 240 East 13th Street in the East Village. Shortly after that, in January 1984, he was back on the Upper West Side. 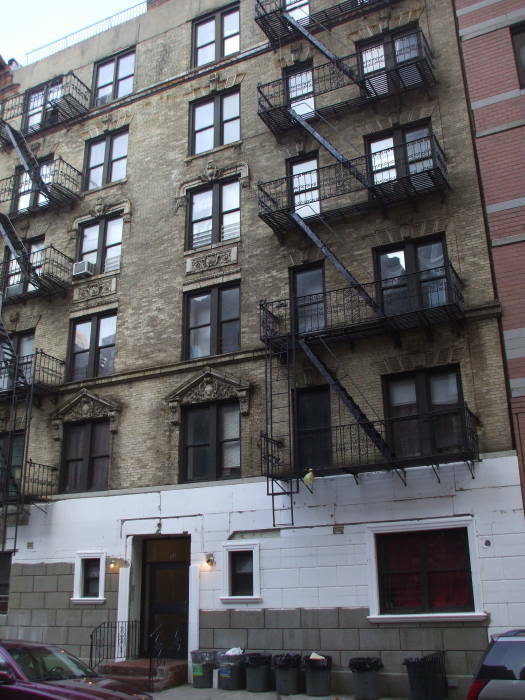 He was living as a boarder in a walkup on the fourth floor at 622 West 114th Street. 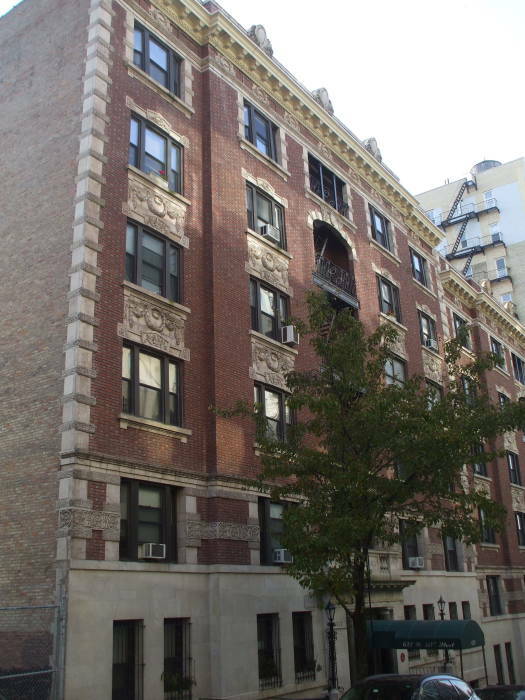 Revere Hall at 622 West 114th Street in Manhattan. After about a year at Business International, paying off his student loans, he was hired by the New York Public Interest Research group, a non-profit organization promoting consumer, environmental and government reform. He was also a full-time organizer at City College in Harlem, organizing student volunteers. The director and producer of silent and sound epic films lived here from 1906 to 1913. He directed the first Hollywood feature motion picture, The Squaw Man (1913). Known for his multimillion-dollar spectacles, he produced 70 films including The Ten Commandments. 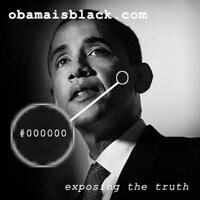 Two years after graduation from Columbia, Obama was hired in Chicago in June 1985 as the director of the Developing Communities Project, an organization based in eight Catholic parishes on the South Side of Chicago. He set up a college-prep tutoring program, a job training program, and a tenants' rights organization. He worked there until May 1988. Later that year he entered Harvard Law School. Looking west on 114th Street toward Riverside Drive and the Hudson River.